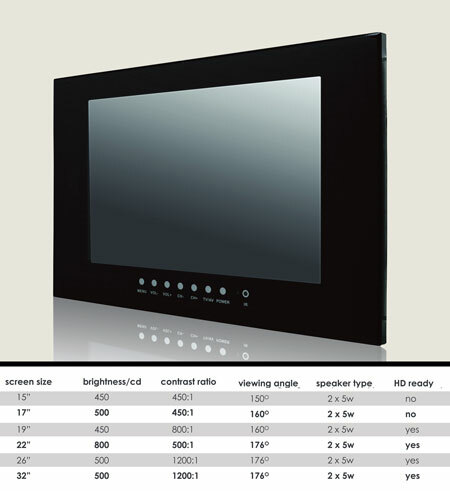 This Bathroom TV can also be used in Showers and Wetrooms. Each Bathroom / Shower TV is low voltage for safe bathing and has a heated television screen for condensation free viewing. We can supply this Waterproof TV with a black surround. Available in 19" - 24" - 32" in black finish.